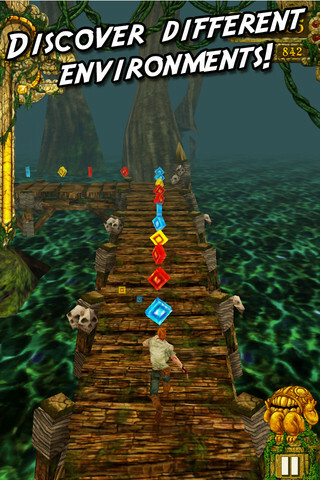 Temple Run - From the makers of the award-winning best-seller Harbor Master comes the most exhilarating running game for iOS devices. 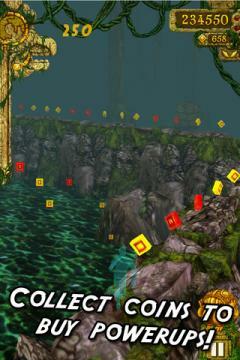 Test your reflexes as you race down ancient temple walls and along sheer cliffs. 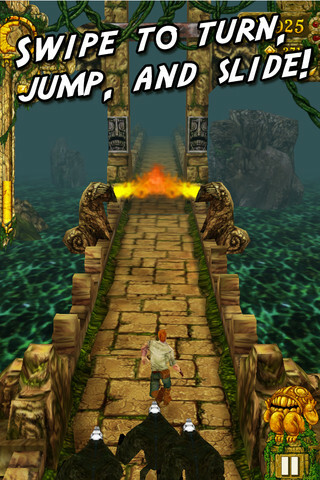 Swipe to turn, jump and slide to avoid obstacles, collect coins and buy power ups, and see how far you can run! 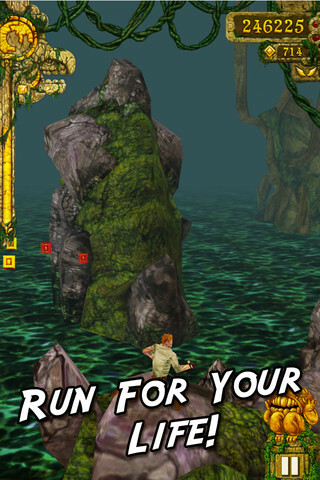 · Original 3D running mechanic combining turning, jumping, sliding and tilting - the first of its kind! · Play as 7 different characters! 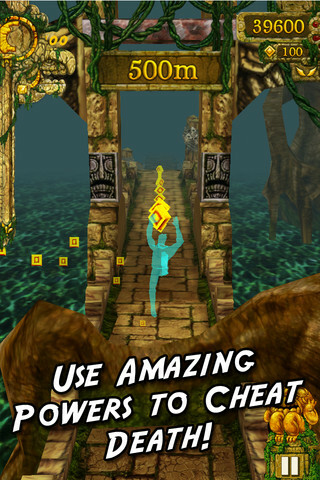 · Incredibly fun, just one more time, endless game play! · This update is a small bug fix that fixes a crash that was happening on older devices after the last update.